AS IT STANDS: Skateboard Memories: Step Aside for the Big Kahuna! 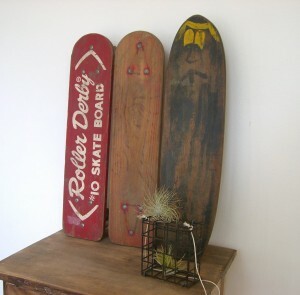 Skateboard Memories: Step Aside for the Big Kahuna! My first skateboard (1957) was red, and had metal wheels. The Roller Derby #10 Skateboard was narrow and often unpredictable. Like a puppy, my feet were too big for my body and when the early sixties rolled around I was looking for a bigger platform for my gunboats (Dad called them that and predicted I'd be tall). That's when I made my own skateboard. I modeled it after a surfing manufacturer in Southern California Hobie, who started turning out skateboards that resembled small surfboards. I made my board in wood shop as a school project. I recall talking my teacher into it. It was red with a yellow stripe down the middle. I bought some of the popular clay wheels at the time made by a manufactuer called Chicago. No one knows who made the first skate/surfboard. The story goes that California surfers got bored when there were flat waves and took the sport to the pavement via modified skateboards. 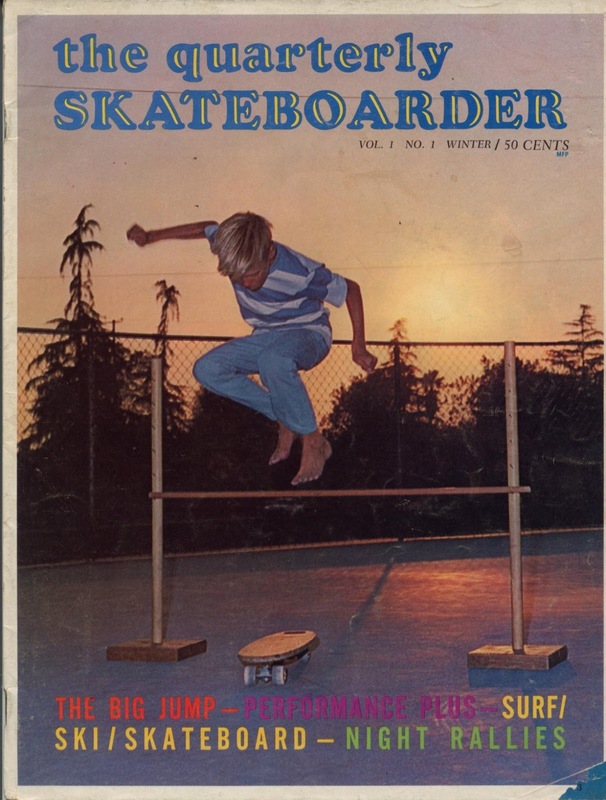 By 1964 the first skateboard magazine, The Quarterly Skateboarder (wished I'd have saved that collection of just four issues!) came out. Publisher John Severson wrote an editorial suggesting that skateboarders were pioneers in a new sport. I liked the idea of being a pioneer. But hard times hit shortly thereafter, as bad press dogged skateboards with stories of terrible accidents and what a public nuisance they were. They made a comeback in the early 1970's, and as you know, they're still popular today. They've almost evolved in the 21st century. Hoverboards were all the rage last Fall, that is until their lithium batteries suddenly ignited and started fires. So, it's back to the pavement for dedicated borders. As much as I'd like to ride on one today, it's just not possible with my bad knees. I'll stick with my memories.